I need to start a REX thread because my wife is about to beat the crap out of this 2014. She commutes 100 miles a day, 50 in the morning and 50 again in the afternoon 5 hours later. The car has 26K miles on it, we just sold of a 2005 Mini Cooper S JCW that we racked 30K miles on in 18 months. To say we are about to rack some miles is an understatement. 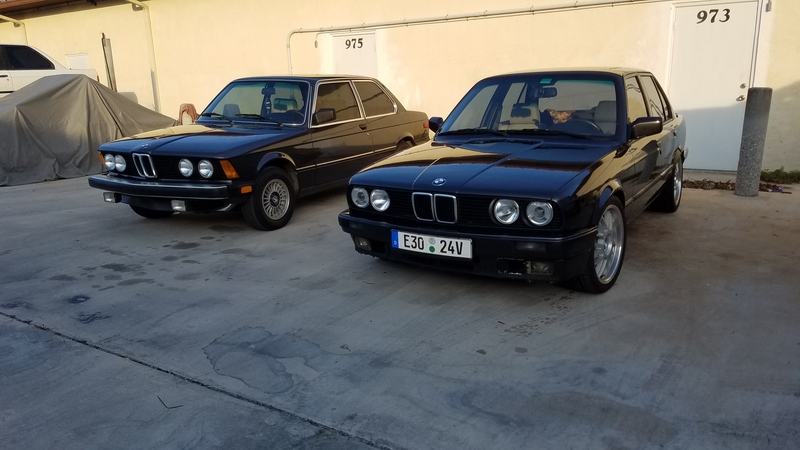 The E30 and E21, the i3 has not met the E30 yet, I keep the older BMW's in a warehouse about 1 mile from my home. Wow. 100 mies a day. 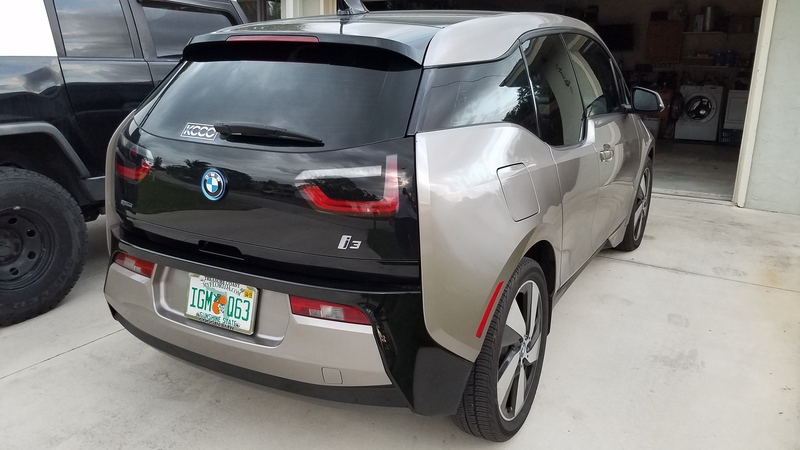 The i3 should serve you well. Tint mod achieved. Much improved look. If there is such a thing for this car. A must when you live in FloRida. Looks good. Is your car iconic silver? theothertom wrote: Looks good. Is your car iconic silver? I believe it is Andesite Silver, it kind of reminds me of Bronzit from the E30 era. In 5 months we have racked up 8K miles she now has 34K miles on her. Not one problem either. We love the fact we are rarely buying gas. We went from $250 a month in gas to about $40 a month in electricity, we are not 100% sure how much electricity changed it seems to be $40 - $50 which surprised us. We try to charge after midnight every night. Our notifications are telling us we need to take it in for a brakes check and Vehicle Check. While it is in there I am going to kindly point out they sold us a used car with locking lugs and no key. 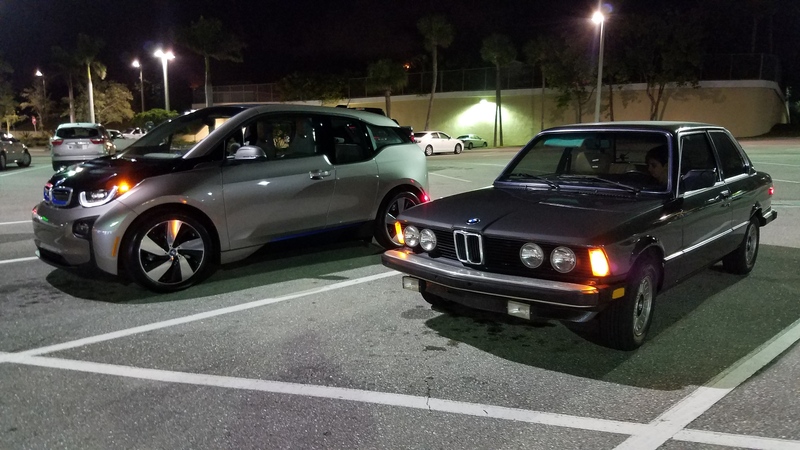 While not a BMW design milestone as far as curb appeal, it is truly a function over design car and it functions perfectly. Looks nice. 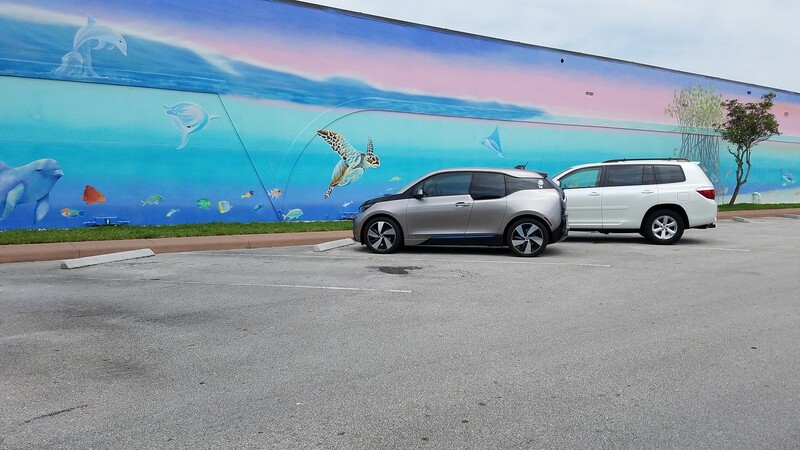 It surprises me that the i3 always looks more substantial (bigger) in photos and videos than in reality (the 2 times I have looked at one so far). 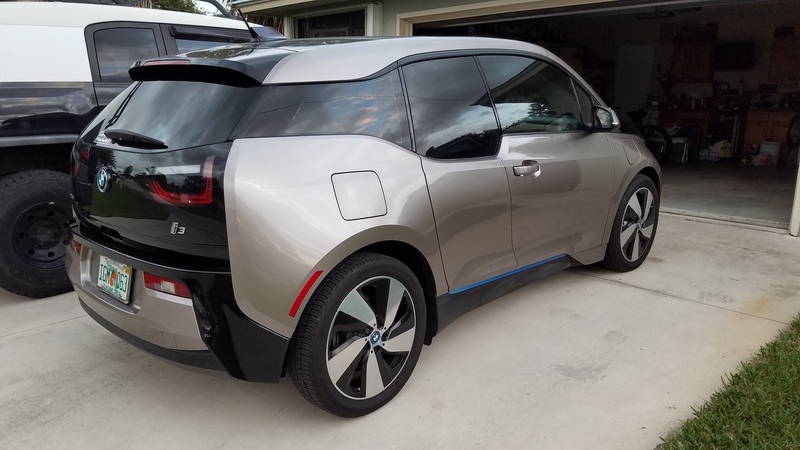 The frunk also appears in photos to protrude more than in reality, to my eyes anyway. Planning to test drive one in a few days.